The American Dietetic Association’s Monopoly Continues to Grow—But You Can Stop It Cold! New bills have been introduced in a number of states that will give the ADA a monopoly over the practice of nutritional therapy—these are the people in charge of the wonderful hospital food. Please take action in your state to stop this power grab and ensure consumer choice! The American Dietetic Association (ADA) has sponsored legislation in over 40 states. These bills lump dietitians and nutritionists into one licensing scheme, and require nutritionists to complete a dietitian program in order to practice nutritional therapy. Even if the nutritionist holds a Masters or a PhD in nutrition, the nutritionist is still required to complete registration through ADA in order to keep practicing. This is the organization that lists among its corporate sponsors soft drink giants Coca-Cola and PepsiCo, cereal manufacturers General Mills and Kellogg’s, candy maker Mars, and Unilever, the multinational corporation that owns many of the world’s consumer products brands in foods and beverages. In some states, individuals are even prohibited from using the words “nutritionist” and “nutritional care.” Such legislation impedes an individual’s right to access highly qualified nutritional therapists of their choice, and prohibits hundreds of qualified practitioners from providing nutritional therapy. 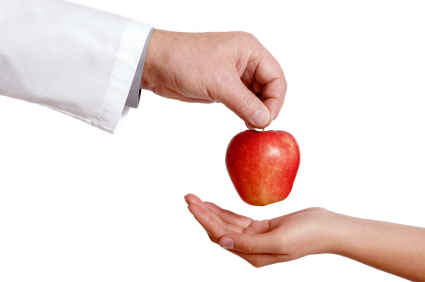 Nutritionists and dietitians differ in important ways. In general, nutritionists are health practitioners with comprehensive knowledge of how nutrition impacts the whole body focusing on medical nutrition therapy, metabolism and biochemistry, and work primarily in private practice settings conducting one-on-one nutrition counseling. Nutritionists practice an integrative approach to medicine and concentrate on prevention and treatment of chronic disease. Dietitians, in general, are experts in what passes for nutrition science today, much of it often woefully out of date, with training focusing on institutional diets and food service management—developing diets for hospital patients, school food service programs, and nursing homes. Dietitians can provide individualized counseling on diet and disease and there can be an overlap in the type of work each profession practices. The California Legislature is currently considering a bill that would create a new Dieticians Bureau and create and an advisory committee made up of dietitians. Under this bill nutritionists are forced to become licensed as dietitians in order to practice, regardless of whether they already have a Masters degree or a PHd. This bill would effectively eliminate an entire profession and removes all competition in the field of nutrition services. California residents please take action now! NJ Assembly bill AB1987 and the senate version in the NJ Senate, S809, is the Dietitian/Nutritionist Licensing Act. This bill lumps together “licensed dietitian/nutritionist,” and the terms are used interchangeably throughout the bill. Instead of noting and providing for the differences between the two, the bill creates a State Board of Dietitians/Nutritionists instead of a separate board for each.Furthermore, the Senate version of the bill requires the completion of a registered exam administered by the American Dietetic Association. This is not the first time we’ve worked in New Jersey on this issue—we were able to kill two different bills last session. New Jersey residents please take action now! A.5666 and its identical companion bill in the NY Senate, S.3556, provides for the licensure of dietitians and nutritionists. This proposed bill lumps dieticians and nutritionists together under one title, “Licensed Dietitian/Nutritionist” or “LDN” rather than providing separate licensing for each. The bill creates a joint board, appointing four members of the ADA and three representing nutritional associations. It does not identify the required exam—but it directs the board to do so. We have run into this problem in other states, where the board, heavy with ADA reps, refuses any but the ADA exam. Note further that this is a title provision, meaning that they aren’t preventing the practice of nutrition (subject to these requirements), but they are limiting the title by which one may advertise! And their certification requirements are standard-issue ADA: a BA, 900 hours supervision, etc. New York currently recognizes credentialing agencies beyond the ADA—in particular the Certification Board for Nutrition Specialists (CBNS), which is specifically designed for nutritionists. This would change once the ADA-majority board takes its first vote. Any new legislation must keep nutritionists separate from dieticians (who will immediately take control of the licensing process), and must ensure the same protections. New York residents please take action now!